One click to install patented / restricted / proprietary software on openSUSE. This will install patented software needed by the default multimedia players. In the process it will add the Packman repository, allowing you to easily install even more multimedia software such as VLC, MPlayer or ffmpeg. 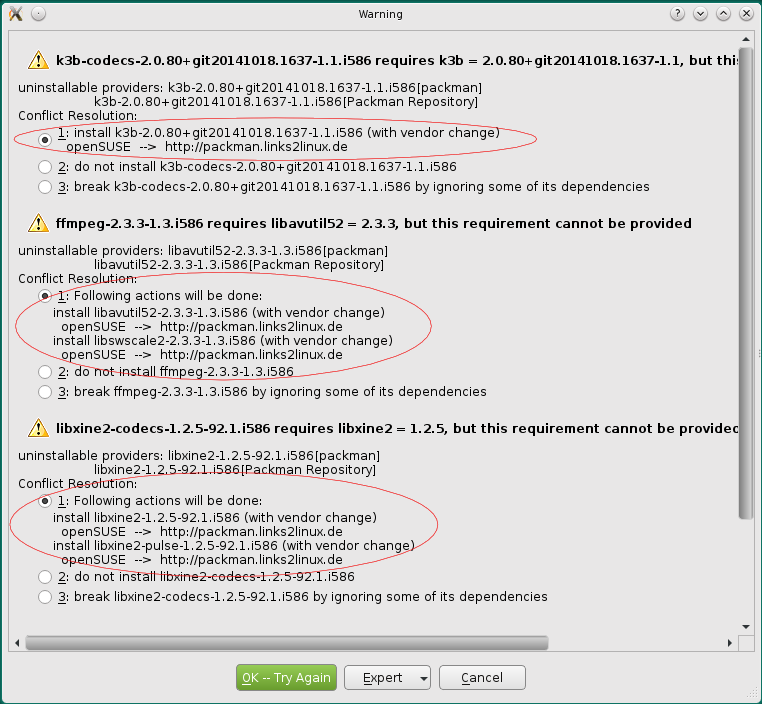 When these warnings in KDE or in GNOME appear, choose the red marked options and confirm (i.e. allow vendor change for the packages). If things don't work after installing the codecs, make sure all your multimedia packages are coming from Packman. 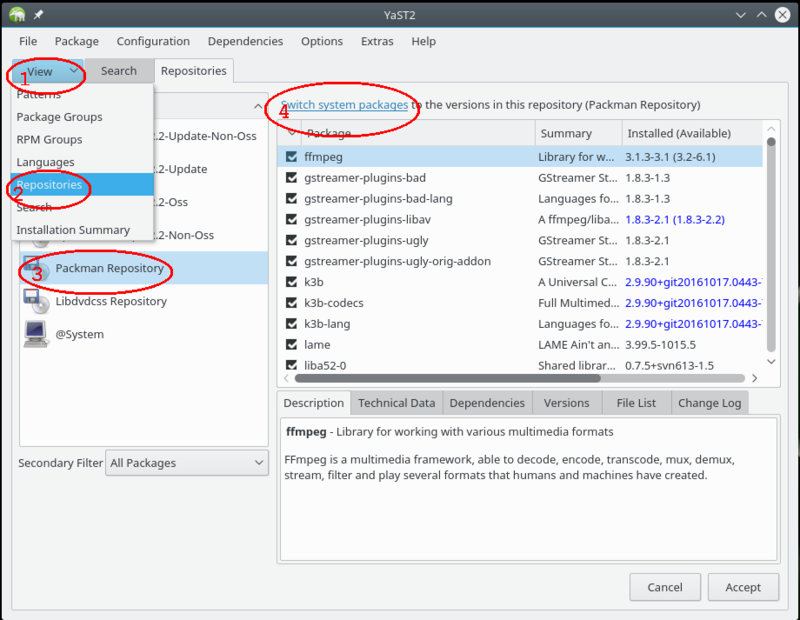 Go to YaST Software Managment, click "View", click "Repositories", select the Packman Repository, click on "Switch system packages". One click to install the proprietary driver for HD 5000 and later.